Speedbird, Dynasty, Redwood… Oh my! I listen to the Minneapolis Air Traffic Control (ATC) tower feed quite often, and have been doing so for the last couple years. I love spotting out at MSP, but you don’t see a whole lot of heavies out there. And despite how much I wish… how much I pray… how hard I cross my little fingers… it never ends up being a 747 flying in over the river, and it’s never an A380 being pushed back from its gate. OF COURSE! Listen to the ATC tower feed out of JFK, close my eyes, and try with all my might to pretend I’m out there watching it live. I’ve been doing this for about a week now on my 45-minute bus rides to and from work. It’s amazing. There is never a dull moment and I’m actually surprised at how well I can picture all the action in my head. However, I’ve realized as I’ve listened to the feed that I have a lot of learning to do. Nearly every other flight that has been cleared for departure or landing has left me dumbfounded because I have NO clue what airline it is. I knew I’d hear a lot of unfamiliar names… but some were more than unfamiliar, they were simply NOT airlines. What gives? I pondered and pondered. Then I picked up on the pilot’s British accent. Still… I was clueless. 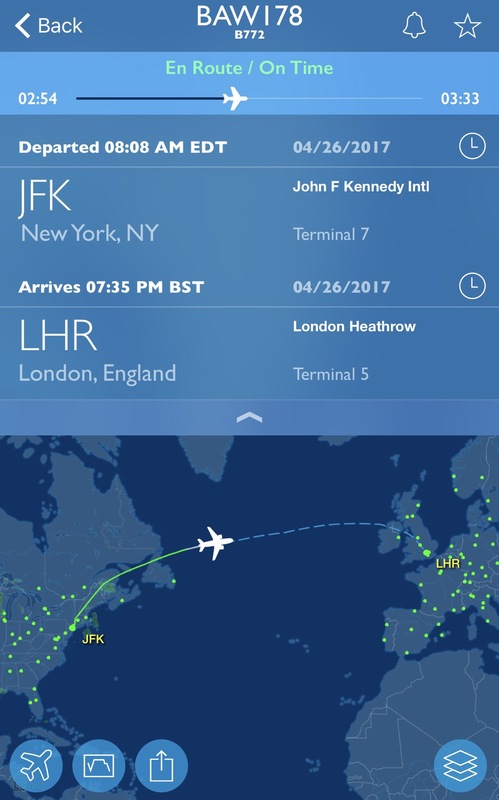 I then tried to figure out what flight I was hearing simply by its number and knowing it was getting ready to depart JFK. And… BOOM! British Airways 178. I found it. I remembered that my dad had once told me the British Airways call sign was Speedbird. I was equally as excited as I was proud of myself for solving the mystery. And having figured that out, I wondered if there were any other flights that I was unable to decipher due to not understanding what airline the pilot (or even the controller) had said. Well, there was one that I knew was getting ready to land, but all I heard through the static was something like, “Ine-see 5322 heavy.” Of course I was intrigued knowing it was a heavy, so I paid closer attention… but I still couldn’t figure it out. Similar to what happened with good old Speedbird, however, something clicked. “Were they saying ‘dynasty’?” I asked myself. Sure enough… China Airlines flight 5322, a Boeing 747-400, had just landed at JFK. And… the call sign for China Airlines? You guessed it. Dynasty. Then I remembered that even earlier I had heard a “Redwood” flight… and after searching and searching, I had given up. But after my epiphany, I did some digging to find out that Redwood = Virgin America. Sure, this was great. This was incredibly exciting. But… I said it before and I’ll say it again: this all just helped me to realize that I have a lot to learn. I’ve found some interesting forums on the topic of airline call signs, and I even found this helpful list that lays out some of the more common ones: Top 10 Coolest Airline Callsigns. I’ll never be as knowledgeable as the controllers. Heck, I’ll never even be able to speak as quickly and as effortlessly as they do. But… I think reading up on call signs and studying airport runway and approach maps will really help me to paint an even more vivid picture in my head each time I listen to that bustling hub’s feed. I’ll admit, I’ve NEVER flown on Sun Country Airlines. I mainly attribute it to the fact that I prefer visiting urban meccas like New York City or London over tropical escapes like Mazatlan or Puerto Vallarta — the warm, sunny destinations they’re most known for flying into and out of. But that’s about to change. I booked my first Sun Country flight for this October — MSP to DFW for a good friend’s wedding. And with Sun Country recently announcing their Hometown Lakes Project, I have a feeling I may start making a bit more of an effort to fly with them. Does the name Mark Herman ring a bell to you? If not, I’m willing to bet you’d recognize the Minneapolis-based artist’s work the second you saw it. 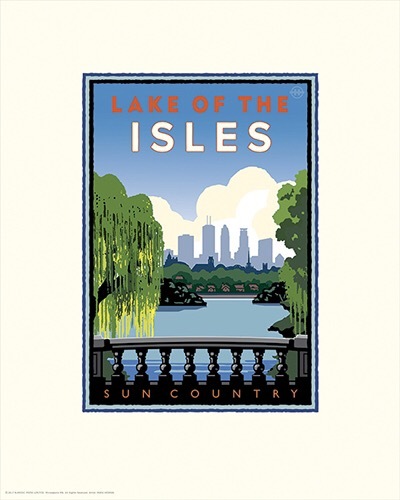 Minnesotans like myself are likely most familiar with his modern, yet vintage graphic art depicting landmarks and other notable places around the state. 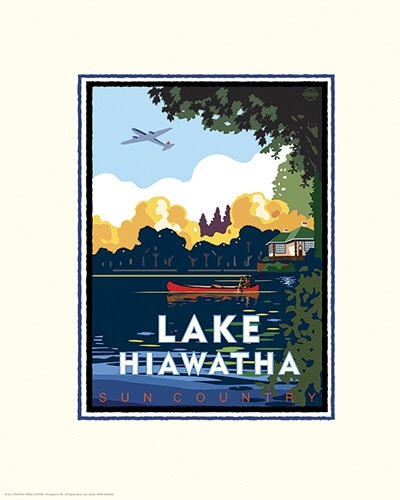 And Sun Country recently announced they’d be naming each plane in their fleet after one of our state’s 10,000-plus lakes, and displaying Herman’s depiction of that lake on the aircraft’s interior. How cool is that? I think with Sun Country’s focus on “summer vacation” type destinations, it’s easy to forget that the airline is actually based here in the Twin Cities. But Sun Country hasn’t forgotten where they came from, and they don’t want you to forget that either. By staying true to their Minnesota roots (as we Minnesotans pride ourselves on doing), Sun Country really won me over. The Hometown Lakes Project will kick off this spring. And in addition to Herman’s artwork inside the plane, the name of the featured lake will be painted on the exterior of the aircraft under either side of the cockpit, and outside the front boarding door. 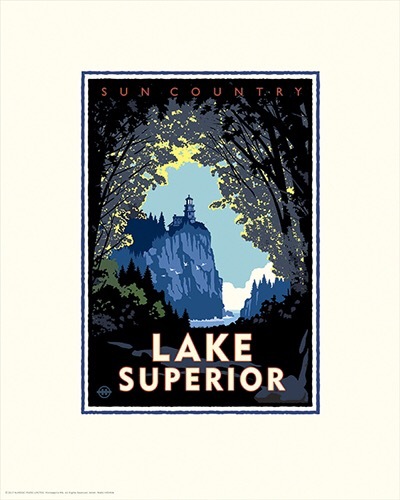 Cheers to you Sun Country… for staying true to your Minnesota Roots and for showcasing your love of our beautiful state. I can’t wait to see which lake will be featured on my plane this fall! All images courtesy of Sun Country Airlines. Learn more on their website, where you can also view all of Herman’s work to be featured in the project.